Gryphon Football uses our social media to keep you updated with what we’re doing. By using social media, we hope to increase awareness, interest and game/event attendance within the Guelph community and beyond. Through our social media, we offer updates about our program from POP tailgate gatherings to behind-the-scenes looks during our new recruit signings. If you’re interested in our program or team, we would suggest checking out our content and following us on our social media. There is a variety from which to choose, which makes our information widely accessible and creates a clear, consistent message of Gryphon pride. Our Instagram account is a picture storyboard of Gryphon Football. We use this account to celebrate our athletes. Furthermore, if you choose to follow us on Instagram, you can see behind-the-scenes footage of our events, practices and games using the Instagram Stories feature. Our Twitter account offers live, real-time updates involving our team. We use this account to interact with other schools, feature news about our Gryphons and present third-party articles written about our team. Our Facebook account features stories about our Gryphons including photos, videos and articles. We showcase an abundance of photos in albums such as Game Day photos. We also welcome your comments and messages on our Facebook page and pride ourselves on our quick response time. 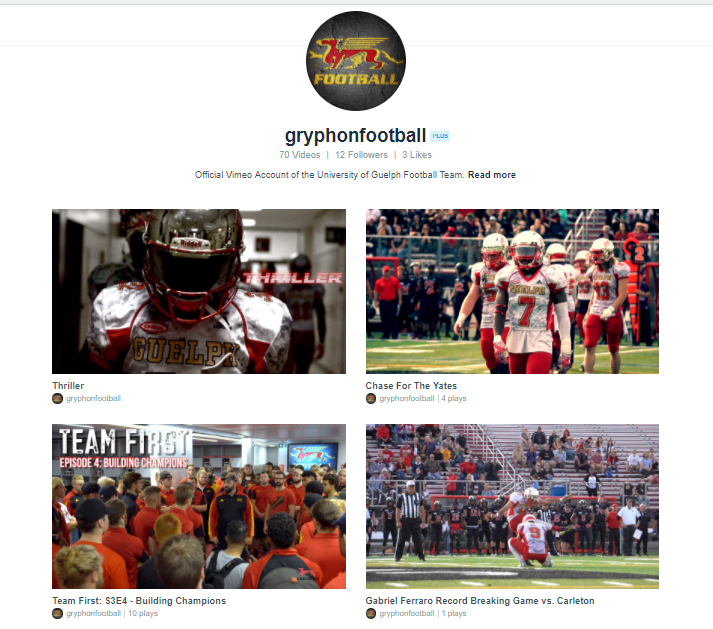 Our Vimeo and YouTube accounts include videos made by Gryphon Football that showcase the team. In recent years, we’ve started a video series about our players called Team First. This series give you an immersive experience in Gryphon Football, with our boys acting as commentators and backstage scenes of our team and facilities. We’re currently in our third season of this video series and we would love it if you joined us for this journey. 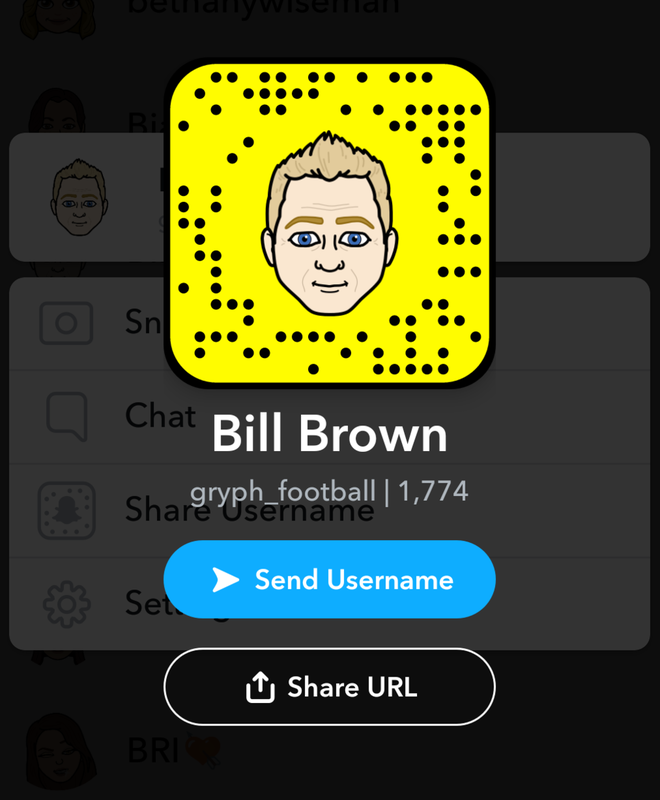 Our Snapchat account is yet another important facet of Gryphon Football’s social media presence. This account allows us to give our followers live updates during game days and deliver important messages. Snapchat is a very popular app amongst the younger generations and we think it has a lot of interesting features like photos that disappear after 24 hours (if you’d like to save any of our photos on Snapchat, you can always screenshot them). We hope you choose to follow us and keep up with Gryphon Football.